The third annual Wheels of Wellness event was a resounding success with approxiamately 300 guests in attendence. More than $100 Million of rare & collectable vintage race cars were on display at our house. 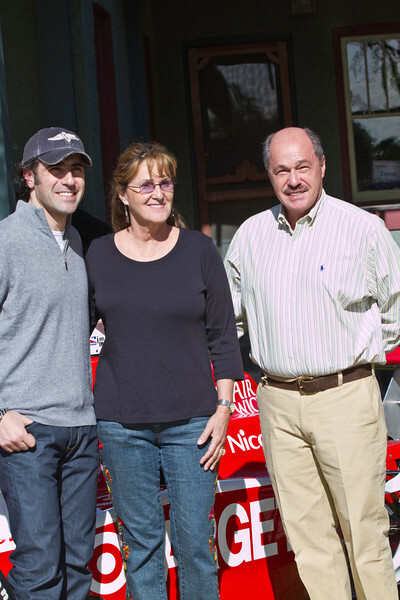 The Grand Marshall of the event was 2009 Indy Racling League (IRL) Champion, Dario Franchitti. He was joined by special guests, 2 time Indy 500 Winner Arie Luyendyk, Didier Theys, winner of the 24 hours of Daytona & 12 hours of Sebring endurance races, Bob Bondurant of Bondurant Driving Schools, Lyn St James, accomplished racing great & Indy 500 Race participant and more. Special thanks to all the special guests, car owners and drivers, and their transport crews for bringing all these beautiful cars and added excitement to this event! A big "Hoorah" to all our attendees for their generous contributions to our fight against cancer and it's effects on families here in Arizona.